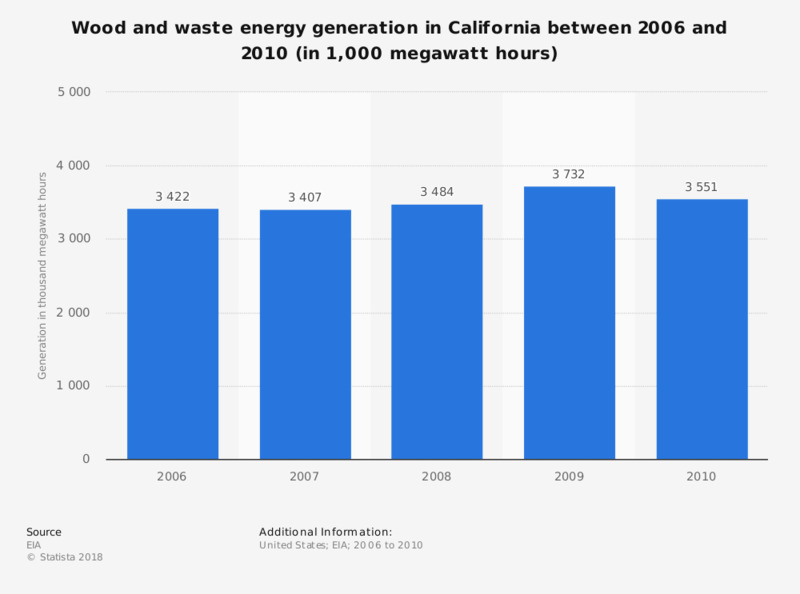 This statistic represents the generation of wood and waste energy in California between 2006 and 2010. In 2010, 3,551 megawatt hours of electricity derived from wood and waste sources were generated in the Western State. Electricity generation by the state electric power industry.